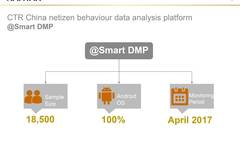 Today Kantar Media (WPP) released their annual 'China Social Media Impact Report' (84slides). Mostly survey data from Chinese consumers regarding online habits. Below is an abridged version. Drop us a mail at info@chinachannel.coand we'll send you the full PDF version of this report. Contact us at info@chinachannel.coto get a PDF version of this report.